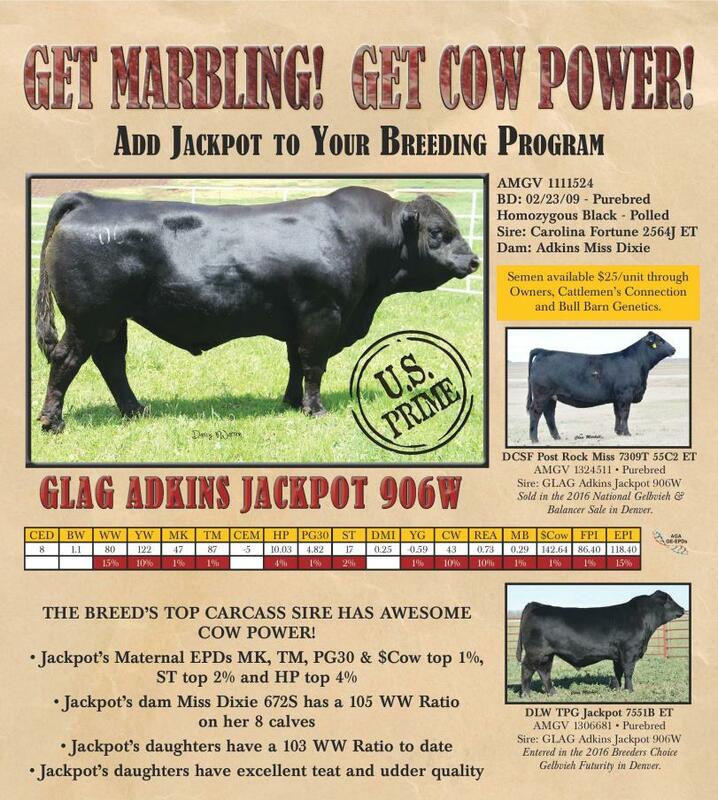 No Bull has had the positive effect on our program like Jackpot 906W!! Jackpot is the Gelbvieh Carcass Leader! Jackpot is in the top 1% for PG30 and top 10% for Staybility EPD's! Jackpot daughters have a 103WW Ratio!! 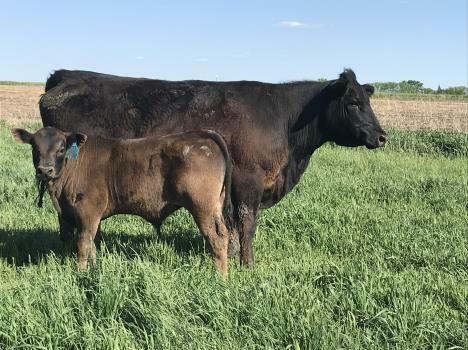 Jackpot bull calf with his first calf heifer dam at 2.5 months of age.